Kuidaore: Eat Til’ You Drop! After visiting Tokyo earlier this month, I couldn’t wait to return to mainland Japan, this time with a friend! Sally and I emailed back and forth with a friend of my grandmother’s who promised to show us around Osaka and take us for a kuidaore dinner. Kuidaore, as she explained, means “eating so much that you fall over”. We couldn’t wait! 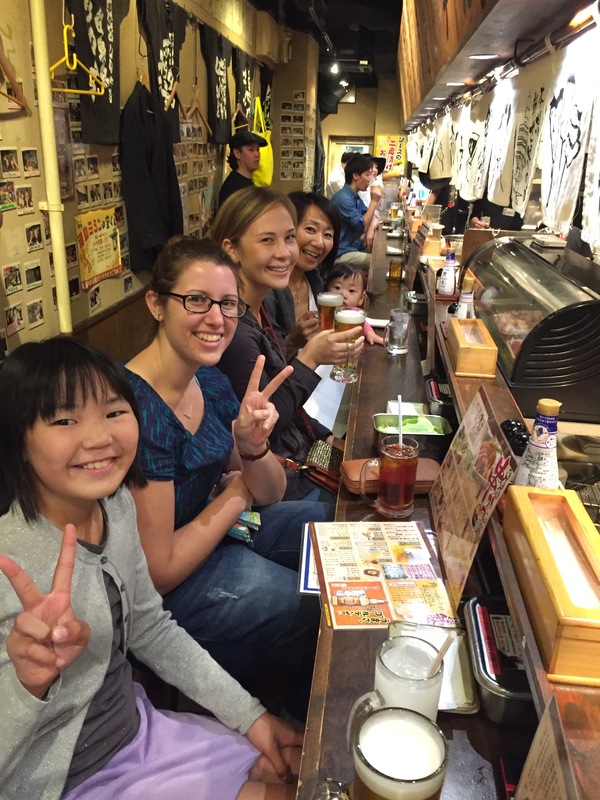 When we met with Ko and her family in Osaka, she told me more about the origins of kuidaore. Other cities in Japan are known for their fashion, but Osaka is famous for its quick and convenient-style eating to accommodate the many business people who live there. 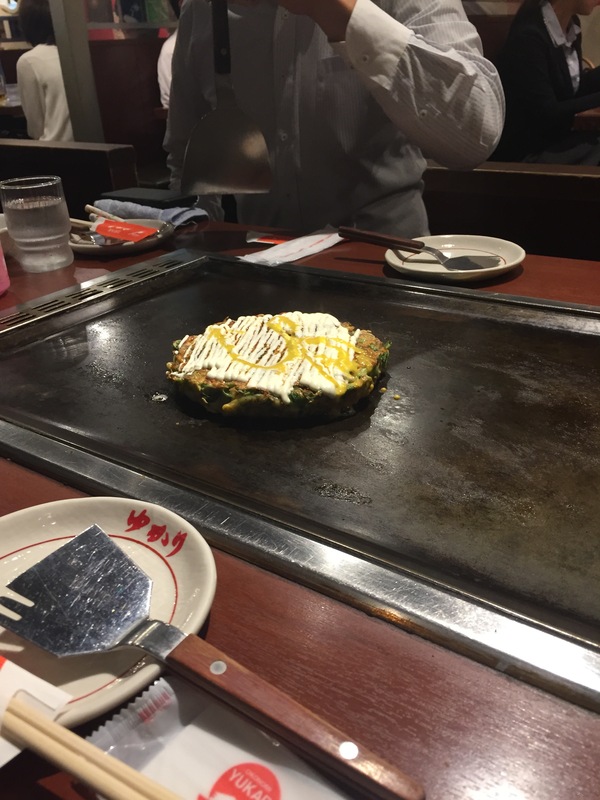 We tried several restaurants, and had the savory pancake (okonomyaki) that I had heard about and I was so, so full! We weren’t quite falling over, but Sally and I were definitely impressed by the treats that Osaka had to offer. 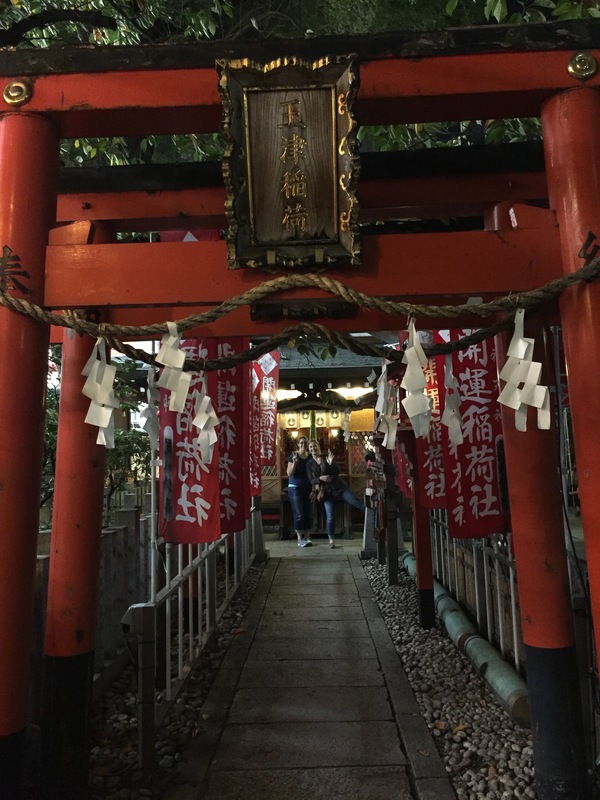 As we ducked in and out of restaurants, Ko turned us down a corner and led us to a shrine. She explained that it was Tsuyutenjin, known for two lovers who could not be together, and so had committed suicide. Because it’s known for romance, people come from all over to wish for love. We all paused to pray for our own loved ones. We loved our short time in Osaka, but we had places to see! We said bye to Ko, and headed off to Kyoto. With bellies full of okonomyaki, we rolled out our futons, and dreamed colorful kuidaore dreams. I love your blog! You are a great writer! Keep writing!